Oregon Ag Fest is an annual festival at the Oregon State Fairgrounds dedicated to educating kids and their families about Oregon agriculture. The event has always had a simple message, be informed, and know where your food and fiber come from. This important message is spread to thousands of urban Oregonians in an interactive and family-friendly way every year, during the last weekend in April. Boasting five areas of engaging ag activities and more than 1,000 volunteers, many of them farmers and ranchers, Oregon Ag Fest directly connects families to their agricultural roots. This connection is especially apparent in Ag Country, a hands-on area where children learn how livestock are raised, plant seedlings, watch chicks hatch, pet rabbits, dig for potatoes and much more. 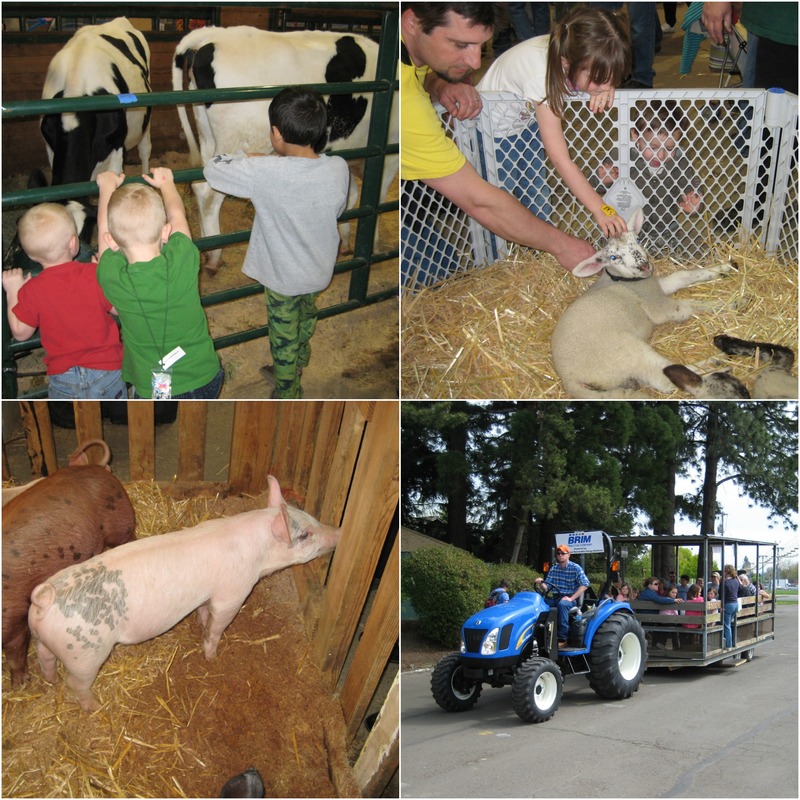 Each year Oregon Aglink hosts a booth at Oregon Ag Fest with activities for both kids and adults. Kids can plant tomato starts to take home, and adults can test their knowledge of Oregon agriculture trivia for a tasty Oregon-made prize. It is a unique and fun way to fulfill our mission, growing Oregon agriculture through education and promotion. We are thankful for our great volunteers from our Board of Directors and Executive Committee who help staff the Oregon Aglink booth throughout the weekend, year after year. For more information, including dates, times, admission fees and parking information, visit the Oregon Ag Fest website. If you are interested in volunteering or have an Oregon-made product you would like to donate to be given away at our booth, please contact Mallory Phelan, Vice President of Operations at 503-595-9121 x104.